This is the "BFB's PAGES" version of this Bibliography. Go to the full version HERE for more images and better layout. 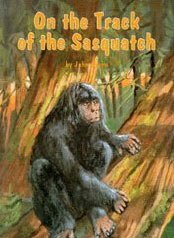 This BIBLIOGRAPHY OF BOOKS ON BIGFOOT, THE ABOMINABLE SNOWMAN (YETI), AND SASQUATCH is the list of books and other media concerning our favorite hirsute, cryptid creature I've read or otherwise imbibed over the last few years. It never ceases to amaze me how many books have been written on this subject, and how prolific the field still remains. We are always adding to the list as we voraciously devour them. Soon this list will be fully annotated, completed and corrected to the best of our recollection, so check back from time to time. The highlighted links are mostly to Amazon.com, as they often carry good information and reviews. One might try using Bookfinder to find the best prices and copies. The BIGFOOT BOOKS book shop in Willow Creek has many of them in stock now for perusal. We generally don't sell the Bigfoot books online, so you'll have to come in or inquire by email (link below). We hope that this page will become an increasingly valuable reference to the Bigfooting field in the near future. THIS BLOG WILL HAVE ONLY ONE ENTRY, BUT IT WILL BE CONSTANTLY UPDATED AND EXPANDED AND REFINED. SO, do look in for updates. 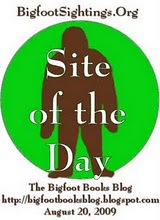 There will be a permanent link on our main BIGFOOT'S bLOG web site. If you don't know the blog, do go check it out through the linked text above! NOTE: Most books listed here are linked to Amazon.com, where more information and reviews may be found. They may be purchased there as well, or one may request a book from the Bigfoot Books shop via the email link below. We DO do book searches for rare and unusual items, so feel free to ask. Any suggestions and comments would be greatly appreciated. Have I negelected to read and include something important? I'm always looking for something new and exciting I didn't know about before. Thanks! updated to February 22nd, 2011. Alley, Robert. RAINCOAST SASQUATCH . 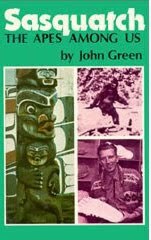 (The Bigfoot / Sasquatch Records of Southeast Alaska, Coastal British Columbia and Northwest Washington from Puget Sound to Yakutat) Hancock House, 2003. Arment, Chad. THE HISTORICAL BIGFOOT . Coachwhip Publications, 2006. Bayanov, Dmitri. AMERICA’S BIGFOOT: FACT NOT FICTION . Moscow: CryptoLogos, 1997. Bindernagel, John A. NORTH AMERICA’S GREAT APE: THE SASQUATCH . Beachcomber Books, 1998. Bord, Janet and Colin Bord. ALIEN ANIMALS (A Worldwide Investigation: Lake Monsters, Giant Birds and Birdmen, Black Dogs, Mystery Pumas, Bigfoot). Harrisburg: Stackpole Books, 1981. Bord, Janet and Colin Bord. BIGFOOT CASEBOOK, UPDATED: SIGHTINGS AND ENCOUNTERS FROM 1818 TO 2004 . Pine Winds Press, 2005. Bord, Janet and Colin Bord. UNEXPLAINED MYSTERIES OF THE 20TH CENTURY . Contemporary Books, 1989. Buhs, Joshua. BIGFOOT: THE LIFE AND TIMES OF A LEGEND . Chicago: University of Chicago Press, 2009. Byrne, Peter. THE SEARCH FOR BIG FOOT: MONSTER, MYTH OR MAN? Acropolis Books, 1975. Ciochon, Russell, John Olsen and Jamie James. OTHER ORIGINS: THE SEARCH FOR THE GIANT APE IN HUMAN PREHISTORY . Bantam Books, 1990. Coleman, Loren. BIGFOOT: THE TRUE STORY OF APES IN AMERICA . New York: Paraview, Pocket Books, 2003. Coleman, Loren. CRYPTOZOOLOGY A to Z: The Encyclopedia of Loch Monsters, Sasquatch, Chupacabras, and Other Authentic Mysteries of Nature . Fireside/Simon and Schuster, 1999. Coleman, Loren. 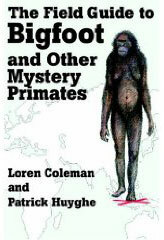 FIELD GUIDE TO BIGFOOT AND OTHER MYSTERY PRIMATES . Anomalist Books, 2006. Coleman, Loren. TOM SLICK AND THE SEARCH FOR THE YETI . Boston: Faber and Faber, 1989. Cotter, John and Judith Frankle. NIGHTS WITH SASQUATCH . New York: Berkley Medallion Books, 1977. Crowe, Ray, ed., et al. THE TRACK RECORD . 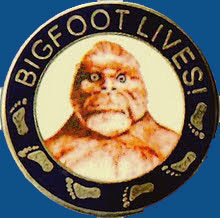 Western Bigfoot Society, 1991-2007. Various Issues. NABS CD, 2009. 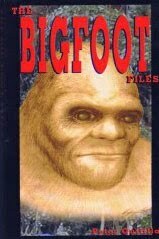 Daegling, David J. BIGFOOT EXPOSED: AN ANTHROPOLOGIST EXAMINES AMERICA’S ENDURING LEGEND .AltaMira Press, 2005. Gordon, David George. FIELD GUIDE TO THE SASQUATCH . Seattle: Sasquatch Books, 1992. Green, John, ed. ; Peter C. Byrne. PETER AND THE SASQUATCH: A FARCE NOW IN ITS THIRD ACT. Canada, Privately Published, photocopy, circa 1996. Green, John. SASQUATCH: THE APES AMONG US . Hancock House, 1978. Green, John. THE SASQUATCH FILE . Cheam Publishing, 1973. Green, John. YEAR OF THE SASQUATCH . Cheam Publishing, 1970. Gutilla, Peter. THE BIGFOOT FILES . Timeless Voyager Press, 2003. Halpin, Marjorie M. MANLIKE MONSTERS ON TRIAL: EARLY RECORDS AND MODERN EVIDENCE . University of British Columbia Press, 1980. Hunter, Don and Rene Dahinden. SASQUATCH/BIGFOOT: THE SEARCH FOR NORTH AMERICA’S INCREDIBLE CREATURE . Toronto, Canada: McClelland and Steward, 1993. Izzard, Ralph. THE ABOMINABLE SNOWMAN ADVENTURE . London: Hodder and Stoughton, 1955. 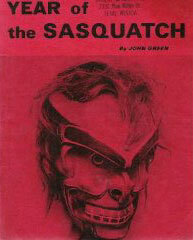 Krantz, Grover S. BIG FOOT-PRINTS: A Scientific Inquiry into the Reality of Sasquatch . Johnson Books, 1992. Knights, Roger. Various Unpublished Printed Manuscripts, Online Review, Amazon.com, 2009. Long, Greg. THE MAKING OF BIGFOOT: THE INSIDE STORY . Prometheus Books, 2004. MacLeod, Michael. ANATOMY OF A BEAST: OBSESSION AND MYTH ON THE TRAIL OF BIGFOOT . Berkeley: University of California Press, 2009. Marcotic, Vladimir and Grover S. Krantz, eds. SASQUATCH AND OTHER UNKNOWN HOMINOIDS (The Research on Unknown Hominoids, Volume 1). Calgary, Canada: Western Publishers, 1984. Matthews, Rupert. 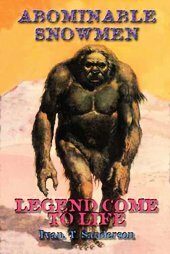 SASQUATCH: TRUE-LIFE ENCOUNTERS WITH LEGENDARY APE-MEN . Edison, NJ: Chartwell Books, 2008. Meldrum, Jeff. 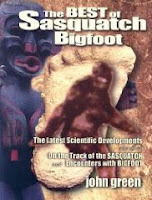 SASQUATCH: LEGEND MEETS SCIENCE . Forge Books, 2006. Messner, Reinhold. MY QUEST FOR THE YETI: CONFRONTING THE HIMALAYAS' DEEPEST MYSTERY . New York: St. Martin's Griffin, 2001. Morris, Tom. CALIFORNIA’S BIGFOOT/SASQUATCH. Bigfoot Investigations, 1994. Moskowitz Strain, Kathy. 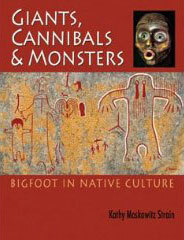 GIANTS, CANNIBALS AND MONSTERS: BIGFOOT IN NATIVE CULTURE . Hancock House, 2008. Murphy, Christopher L.; Roger Knights, ed. ; Thomas Steenburg and Daniel Perez, assoc. ed. & consultation. 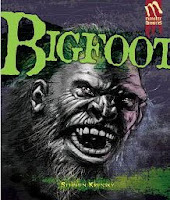 BIGFOOT FILM JOURNAL . Blaine, WA: Hancock House, 2008. Murphy, Christopher L., with John Green and Thomas Steenburg. MEET THE SASQUATCH . Hancock House, 2004. Napier, John. 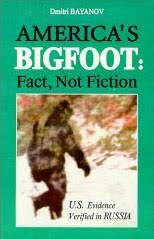 BIGFOOT: THE YETI AND SASQUATCH IN MYTH AND REALITY . E. P. Dutton and Company, 1973. Patterson, Roger with Christopher Murphy. 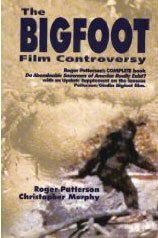 THE BIGFOOT FILM CONTROVERSY . (with DO ABOMINABLE SNOWMEN OF AMERICA REALLY EXIST? in full facsimile). Hancock House. Paulides, David. 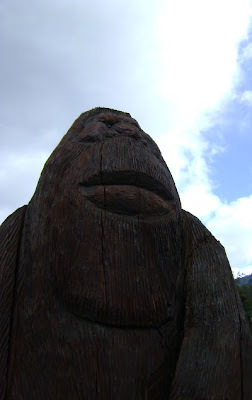 THE HOOPA PROJECT: BIGFOOT ENCOUNTERS IN CALIFORNIA . Hancock House, 2008. Paulides, David. TRIBAL BIGFOOT . Hancock House, 2009. Perez, Daniel. BIGFOOT AT BLUFF CREEK . 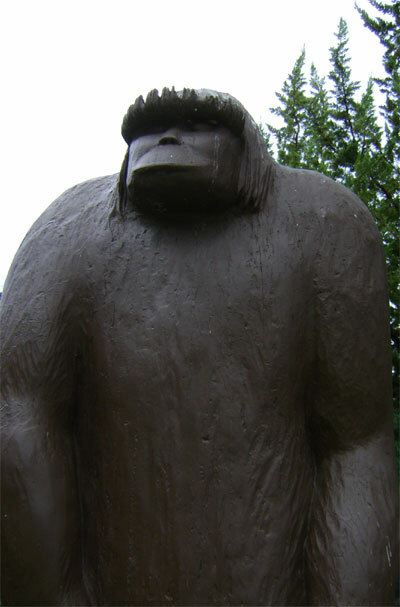 Norwalk: Center for Bigfoot Studies, 2003. Updated Edition. Perez, Daniel. BIGFOOT TIMES (formerly, BIGFOOTIMES), Newsletter, all issues, entire publication run. Norwalk: Center for Bigfoot Studies, 1998-2010 (ongoing). Plus Online Blog Site. Place, Marion T. BIGFOOT ALL OVER THE COUNTRY . New York: Dodd, Mead and Company, 1978. Place, Marion T. ON THE TRACK OF BIGFOOT . New York: Dodd, Mead and Company, 1974. Powell, Thom. THE LOCALS: A CONTEMPORARY INVESTIGATION OF THE BIGFOOT/SASQUATCH PHENOMENON . Hancock House. Pyle, David Michael. WHERE BIGFOOT WALKS: CROSSING THE DARK DIVIDE . Houghton-Mifflin Company, 1995. Quasar, Gian J. RECASTING BIGFOOT: UNCOVERING THE TRUTH ABOUT SASQUATCH AMIDST THE HYPE OF BIGFOOT . La Vergne, TN: Brodwyn-Moor and Doane (Lulu.com), 2010. Richardson, Darin. BIGFOOT AND I: A PERSONAL JOURNEY INTO THE WORLD OF SASQUATCH . Lulu.com, 2008. Rugg, Michael, ed. ; Tom Yamarone, et al., contributors. 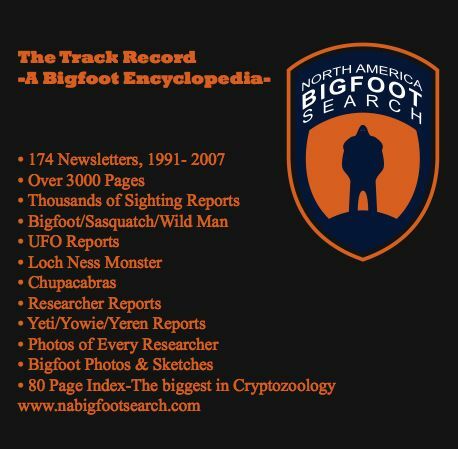 THE BIGFOOT DISCOVERY PROJECT NEWSLETTER. 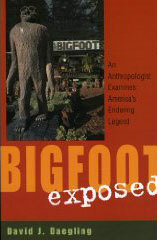 Felton: Bigfoot Discovery Project, 2005-2009, entire publication run. Sanderson, Ivan. ABOMINABLE SNOWMEN: LEGEND COME TO LIFE . Chilton, 1961. Scott, Julie and the Scott Family; Sali Sheppard-Wolford, intro. VISITS FROM THE FOREST PEOPLE: AN EYEWITNESS REPORT OF EXTENDED ENCOUNTERS WITH BIGFOOT . Enumclaw, WA: Pine Winds Press, 2010. Sheppard-Wolford, Sali; Autumn Williams, intro. VALLEY OF THE SKOOKUM: FOUR YEARS OF ENCOUNTERS WITH BIGFOOT . Ravensdale, WA: Pine Winds Press, 2006. Slate, B. Ann and Alan Berry. BIGFOOT . New York: Bantam Books, 1976. Sprague, Roderick and Grover S. Krantz, eds. 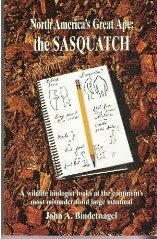 THE SCIENTIST LOOKS AT SASQUATCH (II) , Anthropological Monographs of the University of Idaho, No. 4. Revised Edition.Moscow: University Press of Idaho, 1979. Additional contributors: Bruce Rigsby, Wayne Suttles, Gordon Strassenburgh, Dmitri Bayanov, J. E. Beckjord, and Richard Beeson. Expanded from first edition of 1977. Steenburg, Thomas N. IN SEARCH OF GIANTS: BIGFOOT SASQUATCH ENCOUNTERS . Hancock House, 2000. Wallace, David Rains. THE KLAMATH KNOT . Sierra Club Books, 1983. Wasson, Barbara. SASQUATCH APPARITIONS: A CRITIQUE OF THE PACIFIC NORTHWEST HOMINOID . Oregon: Privately Published, 1979. Wylie, Kenneth. BIGFOOT: A PERSONAL INQUIRY INTO A PHENOMENON . New York: Viking Press, 1980. Yule, Tim. SASQUATCHES FROM OUTER SPACE: EXPLORING THE WEIRDEST MYSTERIES EVER . Prometheus Books, 2000. 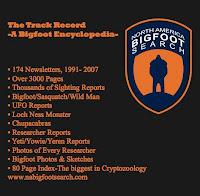 A full LINKS PAGE will be posted on Bigfoot's bLog's PAGES section soon. Crowe, Ray. THE BIGFOOT BAR AND GRILL. Portland: Western Bigfoot Society, 1991. Ives, Dr. Gordon Langley [Jim Dodge]. CONVERSATIONS WITH BIGFOOT . Floating Island Press: 1998. Kerr, Philip. ESAU . New York: Pocket Books, 1979. Orgill, Douglas and John Gribbin. BROTHER ESAU: A NOVEL . New York: Harper and Row, 1982. Wallace, Shannon. THE FARM: A Novel. USA: Privately Published, 48HrBks (http://www.shannonwallacebooks.com/), 2009. Howard, Josh. 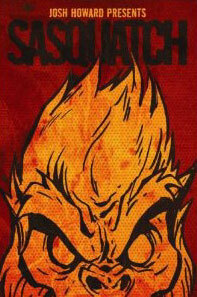 JOSH HOWARD PRESENTS SASQUATCH . Irving, TX: Viper Comics, 2003. Roumieu, Graham. 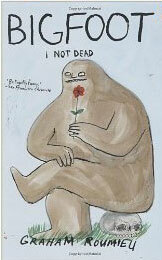 BIGFOOT: I NOT DEAD . New York: Plume/Penguin Group, 2008. Roumieu, Graham. IN ME OWN WORDS: THE AUTOBIOGRAPHY OF BIGFOOT . San Francisco: Manic D Press, 2003. 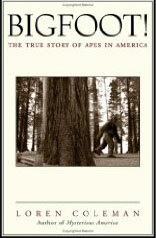 ME WRITE BOOK: IT BIGFOOT MEMOIR Roumieu, Graham. . New York: Plume/Penguin Group, 2005. Antonopoulos, Barbara. ABOMINABLE SNOWMAN . Gaffron, Norma. BIGFOOT: GREAT MYSTERIES, OPPOSING VIEWPOINTS . Johnston, Tony and James Warhola. BIGFOOT CINDERRRRRELLA . New York: G. P. Putnam's Sons, 1998. Krensky, Stephen. BIGFOOT (MONSTER CHRONICLES). Minneapolis: Lerner Publications Company, 2007. Lachenmeyer, Nathaniel, with Vicki Bradley. SEARCHING FOR SASQUATCHSearching for Sasquatch . Seattle: Sasquatch Books, 2006. Nixon, Jane Lowery with Syd Hoff. BIGFOOT MAKES A MOVIE . 1979. A-and-E Network. ANCIENT MYSTERIES: BIGFOOT . Documentary, DVD. Amblin Entertainment. HARRY AND THE HENDERSONS (Video). Universal Studios, 1987. Biscardi, Tom. BIGFOOT LIVES . TizOdd Productions, 2008. Delaney, Tom. NOT YOUR TYPICAL BIGFOOT MOVIE . 2008. Gryphon Productions/Slate Films. SASQUATCH ODYSSEY: THE HUNT FOR BIGFOOT . (Video). 1999. Herriott, Scott. SQUATCHING and JOURNEY TO SQUATCHDOM . Privately Produced. History Channel/Whitewolf Entertainment. MONSTER QUEST : SASQUATCH ATTACKS, BIGFOOT, THE SKUNK APE, GIANT HAIRY APE, OHIO STICKMAN, CRITICAL EVIDENCE, BIGFOOT IN NEW YORK, ETC. 2007-2010, four seasons. Kozak, Karl. CLAWED: THE LEGEND OF SASQUATCH . 2005. Marx, Ivan. THE LEGEND OF BIGFOOT . Pierce, Charles B. THE LEGEND OF BOGGY CREEK . 1972. Ragozzino, Ed. SASQUATCH: THE LEGEND OF BIGFOOT . 1977. Republic Entertainment. BIGFOOT: THE UNFORGETABLE ENCOUNTER (Video). Thayer. BIGFOOT: A BEAST ON THE RUN . UFOTV. SASQUATCH SCIENCE: SEARCHING FOR BIGFOOT . Wallerstein, Herb. SNOW BEAST . 1977. Wascavage, Dave. SUBURBAN SASQUATCH . 2004. Wilder, W. Lee. THE SNOW CREATURE . 1954. Whitewolf Entertainment. SASQUATCH: LEGEND MEETS SCIENCE . DVD. 2003. Wolf, Fred. STRANGE WILDERNESS . 2008. IN SEARCH OF: BIGFOOT, with Leonard Nimoy. SASQUATCH HORROR Collection : THE SNOW CREATURE, SNOWBEAST, and SASQUATCH: THE LEGEND OF BIGFOOT. BIGFOOT: THE UNFORGETABLE ENCOUNTER. 1994. BIGFOOT TERROR . Collection, DVD. YETI: CURSE OF THE SNOW DEMON . Morehead, Ron and Jonathan Frakes, narration. THE BIGFOOT RECORDINGS, VOLUME ONE AND TWO . Various Artists. SASQUATCH'S GREATEST HITS: A MUSICAL EXPEDITION INTO THE WORLD OF HAIRY BEASTS. Privately Produced, circa 2003. For a great selection of CRYPTOZOOLOGY books visit HANCOCK HOUSE PUBLISHERS.